At CES, connected home technology will once again be on display. Don't expect it to take over your home anytime soon. At next week's Consumer Electronics Show in Las Vegas, the tech industry will try to convince us that our homes will be completely automated in the next five years. Don't believe the hype. 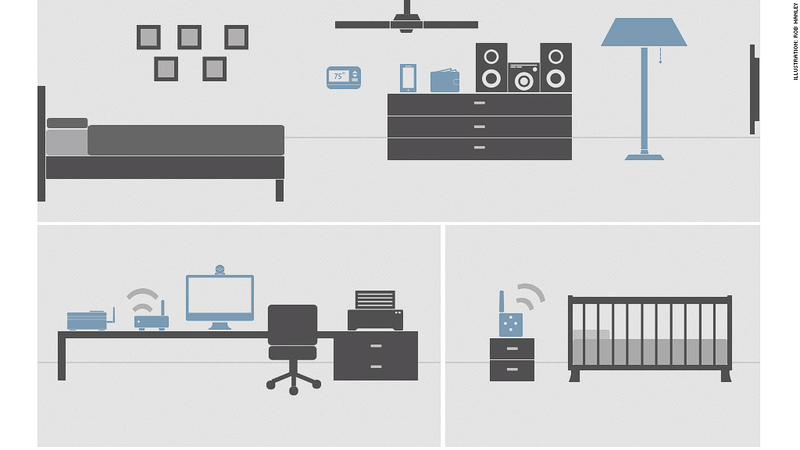 The connected home is a mirage that has existed since the 1950's. It has yet to materialize and won't anytime soon. That's not to say smart appliances, smart locks and smart plugs are dead on arrival. The connected home market is estimated to hit $10 billion dollars this year, growing to $44 billion by 2017, according to wireless industry group GSMA. But are we going to have coffee makers which can talk to our sensor-equipped beds to know to start brewing as soon as we rise for the day? Will we have lighting that automatically turns itself off and on as we walk through the house? One particularly influential connected home entrepreneur doesn't think so. Tony Fadell, CEO of connected device maker Nest and a former Apple (AAPL) executive, put forth the idea at Business Insider's Ignition conference in November that the fully-automated home controlled by a central brain is the pipe dream of bachelors. As he explained, it's unrealistic to expect a family with kids to fill their home with a bunch of devices that are primed for breaking. More realistically, he said, any smart devices people put in their homes will address specific needs and function autonomously. This also makes sense because the tech industry hasn't yet adopted any single standard for home automation. Some devices are built around Wi-Fi, while others are gravitating towards Bluetooth. Some talk to your smartphone or tablet, others talk directly to one another. The lack of a de facto platform has left the connected home space in relative chaos. The tech industry has made a handful of attempts to create a home automation standard, but none have taken off. In 2011, Google (GOOG) launched the Android@Home platform. When it launched the Xbox One in November, Microsoft (MSFT) announced its Home 2.0 program, which promises to make the Xbox One a central hub in our connected homes. Apple, meanwhile, seems to support Fadell's vision of sandboxed iPhone apps for each device. Without a universal home automation standard, consumers can't yet buy a central hub that will get all the components of their houses to respond to one another. But there's another factor keeping the Jetsons' home from becoming a reality. Even if an automation standard does eventually emerge, how many people are going to completely upgrade their homes with all new devices and sensors necessary to make their houses truly smart and connected? The cost would be prohibitive. We'll likely have to wait decades before these devices would be built into new and remodeled homes without a second thought, much like phone jacks and cable outlet are standard in today's homes. So yes, expect to be in the market for some smart appliances in the future. But, for now, your whole house is going to be better off left dumb.